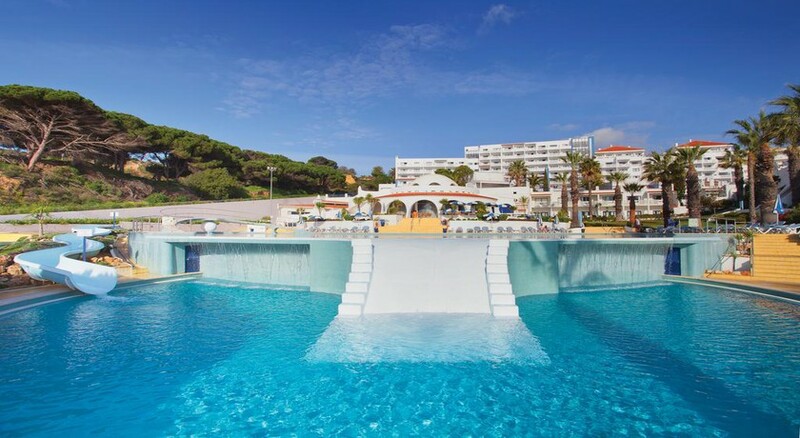 Situated within the picturesque Southern coastal region of Albufeira, the Grand Muthu Oura View Beach Club offers an oasis of apartment-style hospitality on your Algarve holiday. Grand Muthu Oura View Beach Club features a range of apartments and suites ideal for couples and families alike that are spacious and well-equipped with premier amenities, while the pretty beachfront is only a quick stroll from the hotel. The Grand Muthu Oura View Beach Club adds excellent restaurants that cater to the diverse tastes of their island's visitors, from global favourites to local delectable Mediterranean specialities. Activities available at the Grand Muthu Oura View Beach Club include an array of watersports, such as water-skiing and scuba diving, while you can tee off at one of the many world-class golf courses nearby. 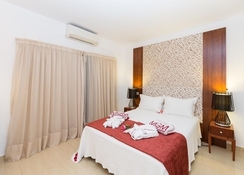 The nearest major airport to Grand Muthu Oura View Beach Club is Faro International Airport, which is just 24 km from the hotel meaning you can be checked and relaxing in as little as 30 minutes after departing the airport. The beach can be accessed following a short walk from the hotel. Grand Muthu Oura View Beach Club offers a range of quality rooms, apartments and suites designed for couples and families alike. 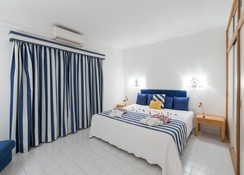 Choose between one and two bedroom apartments sleeping up to four people, with Deluxe accommodation featuring sea or pool views and separate living areas. Inside the rooms and apartments, guests will find a kitchenette with a dishwasher and microwave, as well as tea and coffee making facilities, Wi-Fi Internet and air-conditioning. The flagship VIP Grand Suite adds a private balcony and an oven. Breakfast is available at the nearby property of Clube Praia da Oura, providing the perfect setting within Albufeira to begin the day and on-site Terrace Bar is available to grab a drink and relax by the pool or back in your luxurious room. The hotel's main restaurant, Aqua Restaurant offers a delicious menu and selection of alcoholic and non-alcoholic beverages. The contemporary Sky Bar is an ideal place to spend your evenings with great cocktails and spectacular entertainment programmes. For those looking to stay active on their holiday, take advantage of the Xanadu Health Club which facilitates a range of both wellness and beauty treatments as well as a spa and sauna. In addition, the also hotel houses a swimming pool and Jacuzzi, so it's take your pick for how you choose to relax. Away from the hotel there are a variety of watersports available, so you might want to try your hand at water-skiing or experience a scenic boat ride. IMPORTANT: Please note that the hotel reserves the right to refuse accommodation to any hen/stag that might disturb the regular operation and the family atmosphere of the hotel. DEPOSIT: A deposit of €100 (in cash or credit card) will be required to all guests upon arrival for each apartment. This deposit will be refunded to clients should there be no damages in apartments. Please note : In case of booking online, the credit card used to make the reservation must be presented at the time of check-in and must belong to one of the room's guests. In the event of the impossibility to present this card guests will have to pay the full amount at check-in. Very friendly staff and lovely location. Only a few minutes to the restaurants and bars and sea!